There are over 4.4 million Americans 16 years and above working as drivers and more than 30% of civilian jobs require some form of driving. 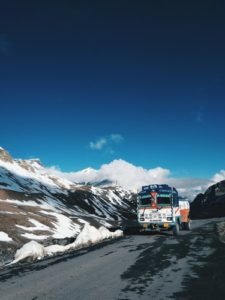 If you are thinking of relocating to the mountains, there are several available occupations where you can use your driving skills and earn a living. Moving to the mountains has its benefits including proximity to nature, clean air, and a healthier lifestyle. 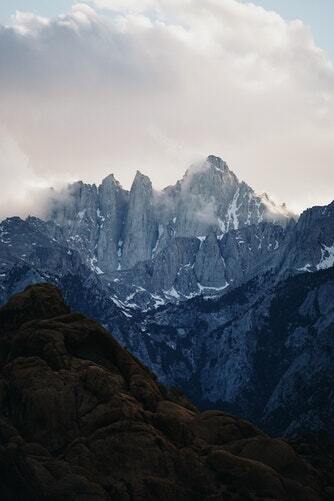 Mountain living is also associated with lower stress and anxiety levels. Snowcats are important equipment in snow grooming to prepare ski trails and snowmobile pistes. Maintaining ski resorts entails lots of work to keep snow groomed and picture perfect for visitors. In addition to a valid driver’s license, you must possess a snowcat certification. Training is essential to operate the snowcat which requires precision skills and to prepare you to go on more difficult terrain and complex jobs. For example, sculpting terrain parks and operating winch cats are jobs that need special skills and training. The salary ranges from $11-12/hour. Guests of resorts need to be transported around the premises whether it is to the gondola, ski lift, or to their hotels in town. Resorts require qualified drivers to operate buses or vans. If you are a licensed driver, this is a promising option as the outlook for bus drivers is expected to grow to 6% from 2016-2026. 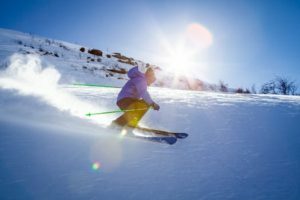 In addition to an hourly wage which can go up to $15.87/hour per BLS stats, some resorts offer free snowboarding lessons, access to amenities, and overtime pay. A commercial driver’s license (CDL) is required and sufficient vehicle insurance cover if working as an independent transport provider. Whether it’s a package or supplies to the resort, delivery drivers are very much in demand with the number of jobs projected to increase to 4% in the period 2016-2026 according to the BLS. They may collect, transport and deliver small or big shipments in the local area or neighboring towns. Most of the time delivery truck drivers move merchandise from a supply and distribution point to businesses and individuals. They are important players in the logistics support of mountain resorts and towns. Median pay is $14.06/hour. Road clearing is part of what makes a mountain resort accessible. Snow plow drivers have their hands full during the winter season. They need to operate machines to remove snow and ice to make the roads safe for motorists. The vehicles may also deposit salt to melt the snow or dump sand to improve traction for vehicles. Snow plowing is a full-time job in the winter and involves machine training. Some may drive for the Department of Transportation or resort companies. You can also work as an independent contractor to clear snow off driveways, parking lots or walkways. Snow plow drivers receive $9-$30 an hour according to JobMonkey.com. Mountain living is a healthy lifestyle with physical and mental health benefits. If you love nature & the outdoors and decide to move, there are several driving occupations that you can take up from operating machines to transporting clients and goods. Posted on October 14, 2018 by Jason K.
Over the past few decades, scientists have studied changes in the earth’s climate and concluded that the planet is undergoing an era of warming. Considered today as the biggest environmental problem of our time, rapid climate change represents more than just a change in the earth’s average temperature. Experts also predict that this trend will continue and include more frequent wildfires, longer periods of drought in certain areas, an increase in the number, duration, and intensity of tropical storms. A global drive to start implementing more sustainable and environmentally friendly solutions has resulted in the creation and flourishing of green jobs. Massive investments in clean energy and green alternatives ensure that a lot of new industries will stay on top of the game for the next few decades. There is definitely nothing wrong with wanting to earn a living while you are saving the planet. 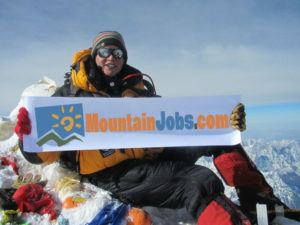 The jobs on this list represent a variety of interests, skill set, and educational background. Many of them also pay very well and will suit most people’s budget. If you are interested in pursuing a more sustainability-focused career, here are some of your top choices right now. Transportation is one of the hottest green jobs category right now as the auto industry is succumbing to public demand to introduce to the nation’s fleet new vehicles that are more environmentally friendly – consuming less fossil fuel and produce minimal to zero pollution. This comes after growing public awareness about how much transportation depletes natural resources. Right now, transportation burns about two thirds of the oil in the USA and produces approximate a third of the country’s greenhouse emissions. Clean car engineers are certainly in demand in the job market right now as the industry makes the shift to clean cars. They are tasked with ensuring the great look and feel of vehicles, and as well as the safety and security of new forms of transport. They may not be responsible for ensuring quality web traffic, but they are responsible for ensuring that the traffic we encounter in the future is powered by greener solutions, from alternative fuels to electricity. Given the level of daily pollution, the increasing incidence of oil spills these days, and the current poor water treatments, water quality technicians are now more crucial than ever before. These technicians and technologists are often tasked with maintaining federally mandated and safe water conditions which humans and animals are okay to consume. They perform regular inspections and sample local water sources. Water quality technicians test for microbes and chemical contaminants in recreational, potable, and waste water to determine if the water meets local or global standards. Essentially, these professionals are responsible for making sure that companies and cities around the world adhere to the designated standards for water quality. Since water quality problems are still very much persistent, this is an increasingly important green job for almost every country in the world. Water quality technicians are working to generate creative solutions for a more sustainable future. Environmental Lawyers advise clients on issues relating to air and water quality, hazardous waste, sustainability, and other environmental issues. They endorse better regulations and advocate for new policies that deal with clean water, clean air, global warming, land use and other environmental themes. Environmental lawyers are often responsible for making certain that companies are adhering to environmental regulations, although their primary tasks generally depend on where they work. Environmental lawyers may work for non-profit organizations such as environmental advocacy groups, or the government. They can also choose to go into private practice, performing consulting work and representing different clients in court. As climate change becomes more and more relevant in public discourse, experts predict that this profession will continue to flourish. Learn more about what to expect from environmental professions here. LEED stands for Leadership in Energy and Environmental Design. It is the most widely used green building rating system all over the world. It is used almost all building, community and home projects, ensuring an effective framework for sustaining healthy, highly efficient and cost-saving green buildings. Architects, engineers, designers and professionals involved in the construction process can take the LEED Professional Exams and earn their certification. This certification is the gold standard for environmental engineering and building and is a recognized symbol of sustainability achievement across the world. The trendiest building designs today include vertical forest apartments and forest buildings. These tall structures come decorated with plants, that virtually cover the whole building. If you are involved in the construction industry, there is no doubt that becoming a LEED accredited professional will improve your career path. From construction and design, to operations and facility management, LEED professionals are in high demand. Becoming an LEED accredited professional (LEED AP) means that your name is included in the directory of LEED APs and provides you with more credibility to employers or clients. Urban growers represent two large sectors in the expanding green-jobs movement: food production and green building. Across the world, urban growers are regarded as most people’s first window into sustainable living. They are responsible for maintaining local gardens and green roofs which come in various sizes are often supported by local businesses, communities, non-profits, churches, even schools. These urban gardens are able to deliver locally sourced foods that are better for the environment because the growers ensure minimal use of pesticides, fossil fuels, and other resources to grow and transport food to market from larger commercial farms. Urban growers are tasked with delivering locally sourced food and agriculture to communities to help encourage or boost their sustainability. However, urban growers and their green roofs also help enhance the urban environment through offering better building insulation and thus minimizing energy loss, managing storm water, improving air quality, and offering a great space for recreation. From aesthetically manicured roof gardens designed for recreation to local community gardens offering produce for restaurants and other food businesses around the country, the demand for green roofs and gardens are expected to continue growing. Like any other business, starting a food delivery business requires a lot of planning and research beforehand. If the proper research is done, a food delivery business will always be a success, because food is a basic necessity which cannot be denied. Let’s have a look at different factors to keep in mind before starting a food delivery business. There are a lot of food items out there. Choose the food item that you want to sell and decide how you want to sell it. Do you want to sell it on a daily basis? Do you want to cater food for weddings and other functions? Do you want to transport liquid food? Have a perfect goal in mind before you start off. The food delivery industry is very competitive. You must do the complete research before you begin. Have a good idea about the present industry at your place. Choose your coverage area and timings. Visit other food joints and analyze their working. Try to know more by talking to the owners of these local joints and understand what works and what doesn’t. Have a concrete plan about everything you want to do. Strategize everything after you talk to people. Your business plan should include all predictable costs including the delivery insurance cost for the type of food that you intend to deliver. Check the local rules, licenses and the other permissions required. Get information about the rules of the state. 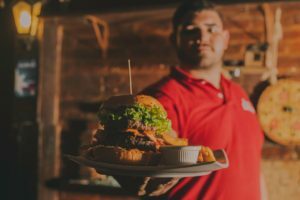 Get your food joint licensed by the state before you start off. Naturally a lot of logistics go into a business. The first requirement for a delivery business is vehicles. Purchase the vehicles required for the business. Invest in keeping the food hot either by using hot boxes or any other medium. If the food has to be kept in any cold system, arrange for a cold storage or refrigerators. Purchase other required items like bowls, spoons, forks, jars, dishes, utensils etc. Also purchase the materials required for packaging. Also make sure that the quality of food is good. Keep everything hygienic. 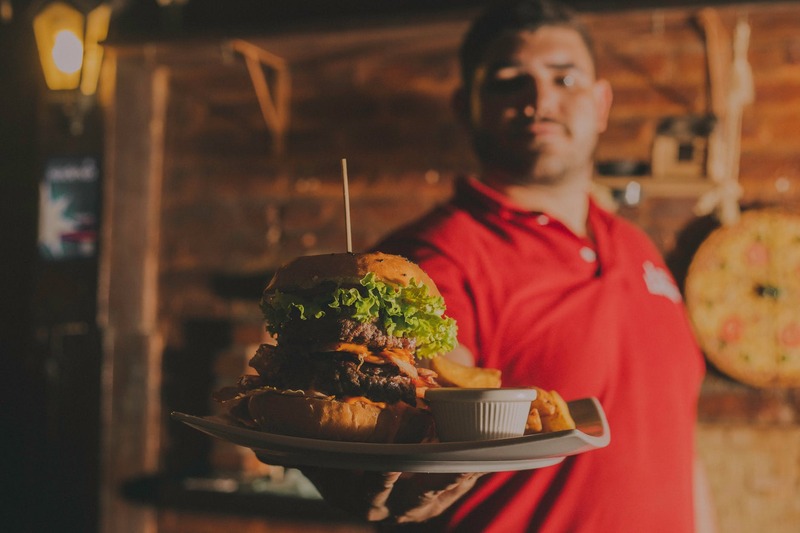 Your food joint will need an app or a website to communicate with customers and also to provide menu cards and other information about the joint. Keep the app or website simple and easy to navigate. Don’t keep it flashy or sophisticated. Take the help of a website programmer or designer. Find people who are looking for collaboration or collaborate with any existing food joint which is already present. This might increase the chances of success of the restaurant. However this is an option. Posted on October 11, 2018 by Jason K.
There’s nothing quite like living and breathing cool, crisp mountain air. This is exactly why there is a flock of people out there on those mountains who head out there for a once in a lifetime break and end up staying for a lot longer than their vacation. These adrenaline-stuffed thrillseekers are called ski bums and if you’re reading this, it’s likely you’re one of them. It’s a life that is fairly envied, being on the mountains. Waking up early to fresh powder to cut through while it’s still quiet and the sky is streaked with sunrise is something that burns in your memory – but it’s also why it’s addictive. While you’re busy staring at the breath-taking scenery, your mind is whirring away because soon, the next round of lift passes are due to be bought. Your salopettes are wearing thin and it’s time to buy a new set of boots. 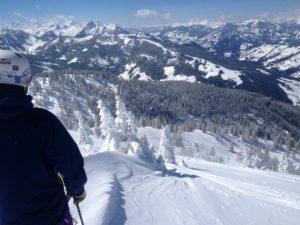 Skiing all year around may seem like a dream come true, but the cost is a huge consideration. Living and breathing the ski life isn’t always snowflakes and sunsets, though, because as any ski bum will know, skiing is expensive. It’s not just a luxury break for most people, it’s a lifestyle, and to maintain a year-round ski season, any skiing fanatic needs to find a way to fund their time on the slopes. While you could dream about maintaining your era as an all work and no play ski bum, life doesn’t quite work that way. The good news, though, is that you don’t have to leave the slopes. It just means that it’s time to get a ski job that relates to what you love to do. 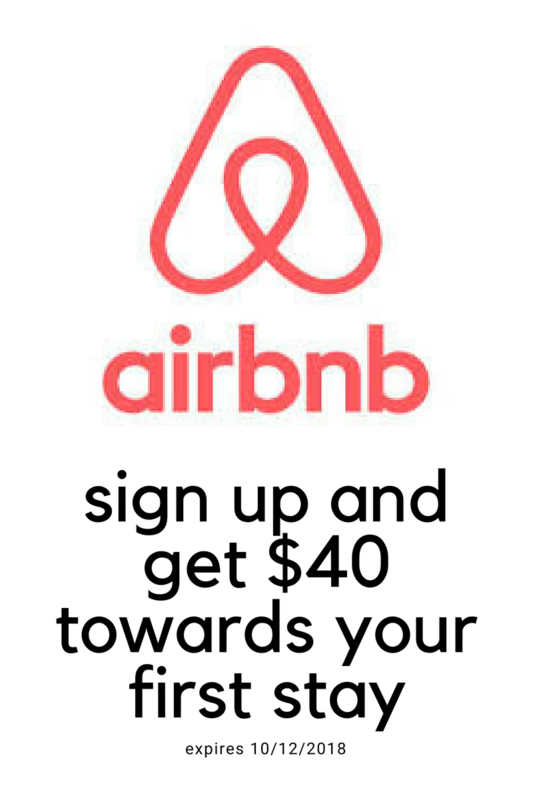 You can surround yourself with your favorite scenery, people and sport, and you still get to pay your rent, enjoy eating and keep renewing those ski passes. There are a lot of different ways to keep your skiing season going, and there are still a good few jobs out there that will ensure you have a bed for the night with your passion for skiing on show. Below, you’ll find some of the best ski jobs for ski bums out there who need a hand to keep their dream alive. Working alongside climbers and mountaineers, rope access work is making waves and becoming more and more popular. It’s an easy industry to get into, and you only have to invest a little within your own skills to get certified. 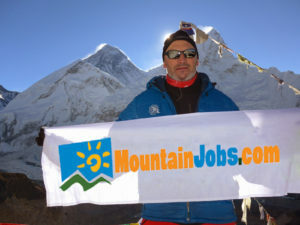 You will need a level of training to ensure that you are safe on the mountains, but you could earn some big bucks in the camps and making bank so you can spend your time on the slopes for the year. You get to work with a thrill; suspended from a harness at all kinds of heights, and there are three different training levels which means that there is room for you to progress. One of the downsides of skiing is the crowds when it comes to getting boots fitted and skis measured up. However, there is a market out there for those that don’t want to spend their time standing in line and waiting to be fitted. In many skiing towns there are services that will offer in-hotel boot fitting services, ski measurements and advice about snowsuit rental. You can spend your time away from those crowded rental stores and instead, deal with people directly. The good bit about this is that you can build yourself a network of regulars and get in with new crowds while still finding time to shred the mountain after work and before – which is the aim of the game. If you want to stay and work on the slopes – seriously, you can work anywhere but the slopes are life – then consider being a heli-ski guide. There’s nothing more adrenaline-inducing than the risky job of jumping out of helicopters at altitude to cut through the fresh powder down the mountain. It’s the breath-taking risks you take as a heli-ski guide that make the job so worth it; untouched skiing ranges, huge mountains and a hugely rewarding salary make your days skiing so much better. Almost every ski resort is littered with bars, restaurants, hotel bars and pubs. You don’t need to be a Tom Cruise in Cocktail to have the skills to work the bar, but the best thing that you could do is actually show up for work. You’ve got to have the skills to sell and the chops to banter with the customers. The more you have fun with the job, the bigger the tips and the bigger the tips, the more you can ski. The only real downside to bar work is the temptation to use your wages and tips to party with the others after hours, which could very quickly put the kibosh on anything ski-related. Those helmets don’t pay for themselves, you know. Believe it or not, there are families out there that choose skiing as their haven every winter, which means that there is a role there for those who love children and have qualifications in nannying and childcare. If you have the skills, you could search around for a family who loves to ski and be on the slopes as much as you do, and spend time with the kids at the same time. It’s win-win for those who have a passion for steering children into sport, and it’s great for when you want to be on the mountain all day. For those who truly want to be married to the snow, training as a ski instructor is a no-brainer. Not only do they get tipped extremely generously, private ski instructors get to network with people, teach something that they love AND spend all their time on the mountains. You could make enough money to see you through a couple of seasons and travel to where the work is in different countries if you wanted to. The first year is always a little hairy salary-wise, but that doesn’t mean that you shouldn’t stick it out. It’s a rewarding job that gives you time to get to know new people while pursuing the thing that you love the most. If you have a knack for an amazing photo, you could be in for a good job with this one. Snapping photos of excited vacationers at the top of a mountain is great for tourism. You could also be mixing in the various resorts snapping pics for their websites and social media; which is a big deal for these companies. Tourists and locals love to spend their time in the powder, which makes ski photographer one of the best ski jobs out there. Not only will you spend all day at the top of the mountain helping people to make memories, you have to get down again, which gives you a chance to ski as much as you want through the day. This one isn’t the most popular or the best job in the skiing world, but it does offer the chance for year-round employment and enough money to pay rent on a shared apartment. You could choose to work the night shift as a liftie and ski throughout the day, which gives you ample time to spend getting your heart racing. You can also do it the other way around, and the ski jobs should be plentiful given the huge number of resorts there are worldwide. Every tourist has a question and every local needs advice, which is why skier services exists. These jobs see you answering to clients on the mountains, setting up special skiing events and working alongside ski patrol to ensure mountain safety measures are adhered to. Every resort needs customer relations and this role allows you the chance to mix with new clients to the mountain, have a steady contract with the resort and gives you the time to get on the slopes and be at one with the snow. There’s nothing more thrilling than finding a ski job that can enable you to keep bumming around the slopes. Finding something to fund your passion is about staying focused, and the right ski job can help you do just that. 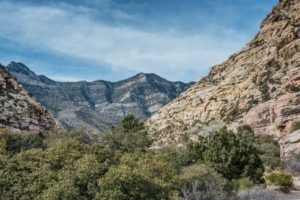 Posted on September 27, 2018 by Jason K.
The free Jack Creek Campground is a small, relatively undeveloped campground on the banks of Jack Creek in a beautiful drainage below Jack’s Peak and north of the Independence Mountains. Opportunities abound for just about any outdoor sport. The Ruby and East Humboldt Mountains have several campgrounds and picnic areas run by the concessionaire, Scenic Canyons. The company’s staff maintains the campgrounds, day-use areas, water systems and all other day-to-day operations associated with the facilities and sites. Fees at these locations go to staff for cleaning and maintenance. Lamoille Canyon, sometimes called “the other Yosemite,” and a true jewel in the Ruby Mountains, is home to the Thomas Canyon Campground at the mouth of a spectacular rocky and steep canyon. A hiking trail is suitable for anyone with strong legs and lungs who wishes to access the high-alpine country. Hikers may be rewarded with sightings of mountain goats and Himalayan snowcock if they hike high enough and keep a sharp eye on the cliffs and ridges. Through the years, each location has been the scene of a felony crime. Often gruesome, always cruel, crime in these vacation spots has been reduced through better design through the help of CPTED. 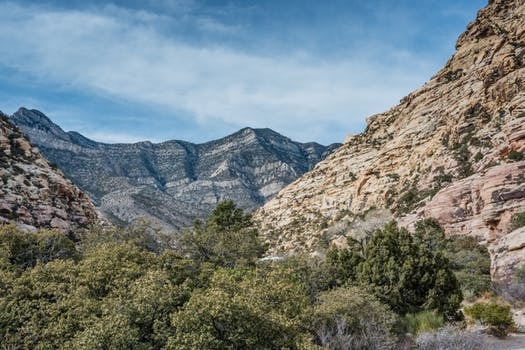 Las Vegas has long had some of the very best hiking, trail running, cycling, mountain biking and climbing destinations in the nation. Much of the current value and safety from a criminal point of view was originated by theories proposed by criminologist C. Ray Jeffery. Despite his book, “Crime Prevention Through Environmental Design” coming out in 1971, Jeffrey’s work was all but ignored through the late 70s. Eventually, his principles were adopted and Jeffrey was credited as the originator of Crime Prevention Through Environmental Design. Jeffrey continued to expand the multi-sport aspect of his approach and the most recent version was published in 1990. Ayşe Belkis Kubđlay expanded on much of Jeffery’s work and published in 2009. Crime Prevention Through Environmental Design (CPTED) strategies are ideal for police departments, city planners, landscape architects, security consultants or anyone interested in designing outdoor recreation areas into an innovative and effective way of fighting crime. CPTED has proven to be efficient in rural and urban areas as counties and cities nationally are adopting CPTED ordinances with crime prevention in mind. CPTED ordinances and standards are being taken into account in the planning of neighborhoods, schools, revitalization efforts and rural, outdoor sporting areas. The “broken windows” theory of crime control explored the impact that visible neglect in outdoor sports venues have on behavior. Originally developed by Q. Wilson and George L. Kelling in 1982. CPTED strategy on par with access control was implemented. As crime is attracted to areas not take care of, or abandoned, CPTED adds a pride of ownership to the area. With no more “broken windows,” crime declines and eventually falls off entirely. British criminologists Ronald Clark and Patricia Mayhew have advanced the “situational crime prevention” approach by incorporating CPTED into environmental design and management. The environment never influences behavior directly. Instead it influences through the brain. Any model of crime prevention must include the brain and the physical environment. The external environment, I.e., the outdoor sporting venues, and the internal environment, a person’s psyche, must work together for the greatest benefit. Posted on August 28, 2018 by Jason K.
The building and construction industry offers a lot of jobs to the people. There are no job shortages in this industry because private companies keep on building new properties and skyscrapers. With the rising global economy and increasing demand for homes, the building and construction industry would need more people to complete different projects. Skilled workers are also in demand, despite the economic challenges that the world faced in the last decade. Additionally, statistics are showing that more than a hundred thousand people working in the building and construction industry would be retiring in the next few years, and the younger ones are needed to vacate these positions left behind. A career in the building and construction industry would generate a great deal of money. In Canada, for example, construction workers are earning $61,000 annually, which is far higher than the average salary in the country. Having a career in the construction industry would allow an individual to raise their family conveniently, while at the same time can buy anything that they wanted. Because of the demand for construction-related jobs, their salary has also seen an increase in the past decades. Those who wanted to enter the building and construction industry can start their careers earlier than those who are pursuing an education at a university. For those who wanted to become an apprentice after high school, all they have to do is to train, and they can start earning money as soon as they acquired their certification of being an apprentice. 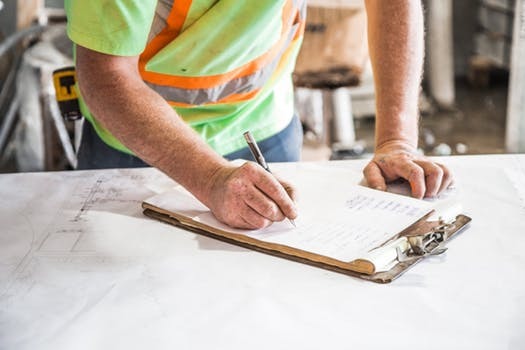 After receiving the certification as an apprentice, an individual must work hard to reach the top and become a skilled worker in the building and construction industry, which would also assure them of higher salaries. People who have been in the building and construction industry has more chances of creating a lifelong career. Starting in the industry at an early age would make it possible for an individual to gain a lot of knowledge in the field. They would also go under training and other seminars that would improve their skills in the building and construction industry. From being a foreman, one could advance their way through the top, eventually being a construction manager or the company owner. Those who managed to find their way through the building and construction industry could also learn new skills that would give them additional knowledge and information about the industry they’re in. Specializing in a career in the building and construction industry also provides a lot of perks and benefits. One of the perks of being in the industry would be the ability to travel anywhere. These people could also work in the place of their choice, as the industry is in demand anywhere on the planet. Those who are also in the industry never find their work becoming tiresome, as the workload is not monotonous, and they feel rewarded after finishing their projects. If you wanted to start a career in the building and construction industry, start looking for a school or a training center that would be teaching you the basics. You would also have to start your career as an apprentice, and it will help you become successful in the industry later on. Posted on August 24, 2018 by Jason K.
As we get older, we’re less likely to want to compromise on our lifestyle and goals. Many people find that later in their working life they want a complete change, especially if they’ve been working an office job. No one wants to feel stifled. So why not look for a great job outdoors? You can experience the fresh mountain air, and enjoy the incredible scenery, all while making money towards your retirement. It could be an amazing adventure. Working in an outside environment, such as a ski resort, or national park is a great way to meet a vibrant community of people, from all different backgrounds. You can learn new skills and always have someone to discuss ideas with. It is one of the advantages of continuing to work as you get older. Studies have shown that learning new skills keeps the mind sharp and broadens your horizons. The author of “Your Brain on Nature,” Harvard physician Eva M Selhub, wrote that being outside with nature “stimulates reward neurons in your brain. It turns off the stress response which means you have lower cortisol levels, lower heart rate, and blood pressure and improved immune response.” This means that you will have more focus and drive, and be more creative. Working outside presents so many different new challenges, for instance, if you work as a gardener, you will have to work around the weather to make things grow. Having a creative mind, and thinking differently will help you with your new job, as well as in other aspects of your life, such as your hobbies. The rat race is stressful and bad for your health. The fact is that the more hours you work, the more likely you are of having a stroke. Research has shown that people who work 55 hours a week are 33% more likely to have a stroke than those working a 40 hour week. You also have a 13% higher chance of suffering from coronary heart disease. Ask yourself this – is it really worth it? Many people cut down their working hours as they get older, this will give you the opportunity to have free time for the things that you really love. Getting a job outdoors can be really beneficial for your health. You will meet some great new people and have the all the benefits that being outside with nature can bring. The field of big data is one that has seen explosive growth in recent years. Companies all over the globe have integrated big data and analytics technologies into virtually every aspect of their operations, from managing sales pipelines to streamlining production practices and boosting productivity up and down the supply chain. It’s a business revolution that is reaching into every industry in about every way imaginable. It has also created a demand for data skills that has far outpaced the ability of the labor market to provide them. The skyrocketing demand for big data skills has led to a severe shortfall of qualified candidates for data science-related positions all over the globe. The talent shortage is so pronounced, that industry observers have fallen all over themselves to shout about it from every available mountaintop. The prevailing consensus is that the big data skills gap is continuing to widen and that employers haven’t seen the worst of it yet. The problem with current big data labor forecasts is that they’re probably wrong. Most of the current industry observers are ignoring some mitigating factors and early signs that the forces of supply and demand in the labor market are moving back towards alignment. Here’s what they aren’t considering. For years, the media has been awash in stories designed to frighten the average worker into believing that artificial intelligence is going to replace them at work. They’ve focused on workers on factory floors and back-offices, who conduct the mundane and repetitive tasks that make modern businesses function. Well, the reality is that A.I. isn’t only coming for the rank and file of the average business; it’s reaching far higher up the chain much faster than anyone anticipated. A.I. is already beginning to reach into the work of data scientists, which should put downward pressure on demand in the industry in the coming years. The education industry hasn’t exactly been sitting idly by while data science has risen to become one of the hottest employment fields on earth. On the contrary, educational institutions all over the world have been creating programs designed to produce a whole new generation of big data professionals. It’s also important to note that the industry seems to be targeting their efforts toward where the big data market is going, rather than where it has been. They’ve recognized that the average data science job now requires applicants to hold a master of data science degree rather than a Ph.D., which had been the norm previously. To align with that shift, the number of master’s level data science programs has increased in almost every corner of the world. In big data, as in any new technology field, the earliest adopters serve as the pioneers that blaze a trail for others to follow. In the beginning, there were no off-the-shelf analytics and visualization tools available, and industry pioneers had to invent whole new systems to suit their specific needs. Today, vendors like IBM, Oracle, and SAP have come to market with products that allow companies to standardize their big data operations in ways that weren’t available a few short years ago. The result is that companies now require far less specialized skills in their big data workforce, and further consolidation of major platforms should keep that trend going for many years into the future. None of the above factors are going to close the big data skills gap in the near-term, but their very existence should blunt the dire warnings about labor shortages emanating from most of the industry. The reality is that the big data labor market is going to stabilize itself over time, as it has in every other sector in the industrialized era. Like nature, labor markets abhor a vacuum, and it won’t persist for anywhere near as long as most analysts insist. That’s not to say that challenges won’t remain for the big data industry, but if history has taught us anything, it is that labor inexorably flows to where the money is, and you’d be hard-pressed to find a more valuable 21st-century industry than big data. Posted on August 15, 2018 by Jason K.
The professional driver industry is a huge one, but it has a serious worker shortage problem. This is most clearly indicated by the truck driver shortage – the ATA estimate there are 51,000 unfilled trucker jobs nationwide, across all types of environment. The ski industry is no different; in Maine, for instance, there is a 160 job shortage, drivers included. The professional driving role is full of opportunity, including progression, a great salary and life experience. It can take you to exotic and remote locations, help you to make lifelong friendships and all from the comfort a vehicle. In the ski industry especially, you’ll have the opportunity to craft a thrilling and rewarding career. Trucks and their inherent variability are a permanent feature in ski resorts and the workhorse of the industry. There are countless roles for truck drivers in ski resorts, but some you might not quite expect. For instance, given the size of skiing’s hospitality industry, there are opportunities to be found for those with a personable nature in the host role. The basic ‘in’ for truck drivers on the slope is quite low, too. As the WaPo has reported, snow plough drivers can branch out to the ski slopes, with both roles being in short supply. Compensation is good; according to the BLS, truck drivers can expect to earn $42,000 at a minimum, but with a huge reduction in living costs due to being on the road. The slopes and mountains naturally lend themselves to off road activities and this is another area in which drivers can find employment. Many mountain slopes offer cave activities for those who enjoy a touch of adventure during their stay at a resort, and many others will offer Jeep-led offroad activities through the undulating slopes of many areas. An enhanced license or evidence of ability may be key for obtaining such a role, but they are perfect for outgoing, adventurous drivers. There are also ample opportunities in remote area trucking. As outlined above, there are huge labor shortages across the trucking industry, let alone the niche remote delivery industry. Truck drivers can, according to CNN, expect to be compensated to the tune of $72,000 a year, and technology is making the role safer every year; both in terms of insurance liability and your personal safety. Tackling the slopes need not be daunting. Professional driving is a job role that not many consider, and that’s reflected in job shortages. What others avoid, however, you can benefit from, with the freedom of movement and generous salaries it entails. Take a look into the roles available – it could just be for you. Posted on July 14, 2018 by Jason K.
Isn’t it astounding to see how technology impacts society? Despite the many benefits we enjoy each day—from automatic coffee makers to large factory machinery—most new ideas are first met with apprehension. Perhaps human nature simply balks at change initially only to welcome it later on? This is exactly what happens in HR departments today. HR practitioners handle one of the most important assets in a company: People. In this important role HR managers usually pride themselves in the personal service they deliver to a team of employees. And yes, this should be highly commended. But is this the modern way to go about it? The thought of allowing technology to take over certain HR tasks is one modern trend that often gets frowned upon. How can robots handle such an important and personal role, right? The truth? You would be surprised at the possibilities. The bonus is that this doesn’t have to replace individuals or complicate work. With synergy your entire team can become more efficient. How Streamlined is Your Office? HR departments are known to be busy and overflowing with paperwork. With this stigma it’s easy to think the status quo is acceptable. Is it? Of course we all know HR practitioners work hard but in this modern environment it becomes their responsibility to work smart as well. More about that last one next. Recruitment is one of the most challenging aspects of being an HR practitioner. You need to squeeze this task in between all your other regular responsibilities whenever a position opens up. The days of manual recruitment are long gone. Today’s trend is all about using technology such as AI to reach, interact and vet the best candidates. AI technology can scan the web for appropriate candidates. There are many platforms and discussion groups to find them but I bet you don’t have the time to do it. But it’s not only about finding candidates but finding the right ones. Once again technology comes to the rescue. Do You Want Quantity or Quality? You probably think it’s great having hundreds of candidates to pick from. It means you don’t have to settle for mediocre. Or does it? Why waste your time on reading countless resumes when AI can help you source candidates that actually fit the available role? Why waste precious time if there’s a more dynamic, faster procedure? A huge batch of candidates often means you’re not sure what you need. Perhaps your advertisement was vague or you’re not sure what characteristics you’re after. With AI on your side you can determine the exact need of the company. AI sifts through large volumes of feedback data on company performance. This is used to determine future needs. Now you or AI can find individuals with these exact features on their resumes so you don’t waste your time talking to applicants who will never really fit in. The trend is to use technology to streamline recruitment processes. There is too much work and with software on your side you don’t have an excuse any longer. Work has to be done better and faster. One feature of a quality candidate will be one that can adapt. You’re responsible to build a strong work force that can handle the technological changes that are taking place faster by the day. Do you want someone that can work well today only or one that will adapt along with you as the future brings more interesting changes your way? 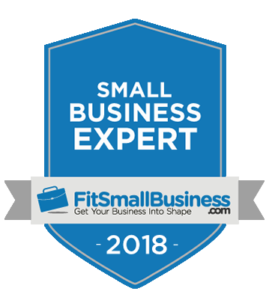 Can You Be Flexible so You can Employ the Best? Are you prepared for what your candidates will ask you when they come in for their interviews? A common trend is that individuals request contract work rather than permanent positions. You can stay set in your ways and refuse to allow this. But what if you lose the best candidates because you’re too proud to change your perspective? Contract work allows employees more freedom but ultimately they feel happier in their jobs. Happy workers always translate into higher productivity so it’s worthwhile to consider their requests. Can You Impress the Modern Job Applicant? Today it’s not only about applicants impressing you; you’ll have to find and impress them so the best wants to work with you. A common theme in many companies is that employees experience a drop in technological stimulation at the start of each week. At home people have every gadget imaginable but at the office they have to face manual tasks instead of the automation they’re used to at home. At the moment this is still acceptable as few companies have budgets to become high tech overnight. But employees won’t always be as lenient. Your team wants to be proud of the place they work at and being at the forefront of technological developments is part of it. How does this relate to your job as HR practitioner? 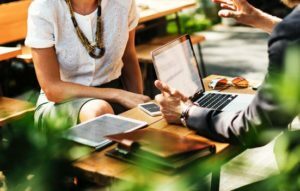 A surfacing trend is to ensure you impress promising candidates from the very first interaction. If you want to tell them about the company why organize an information session if you can supply all the information via a mobile app? That’s how you show you’re ahead of the pack. Can you see how original ideas are vital in HR in this new world we’re living in? If you’re looking for more motivation to get the modern ball rolling you have to look at the big picture. In a decade from now the business environment will look much different than it seems today. If you want to employ the best candidates at that stage you’ll have to be the employer of choice. And in an ever changing, technology driven world, technology will have to be your strong point too. Can you afford to get left behind?